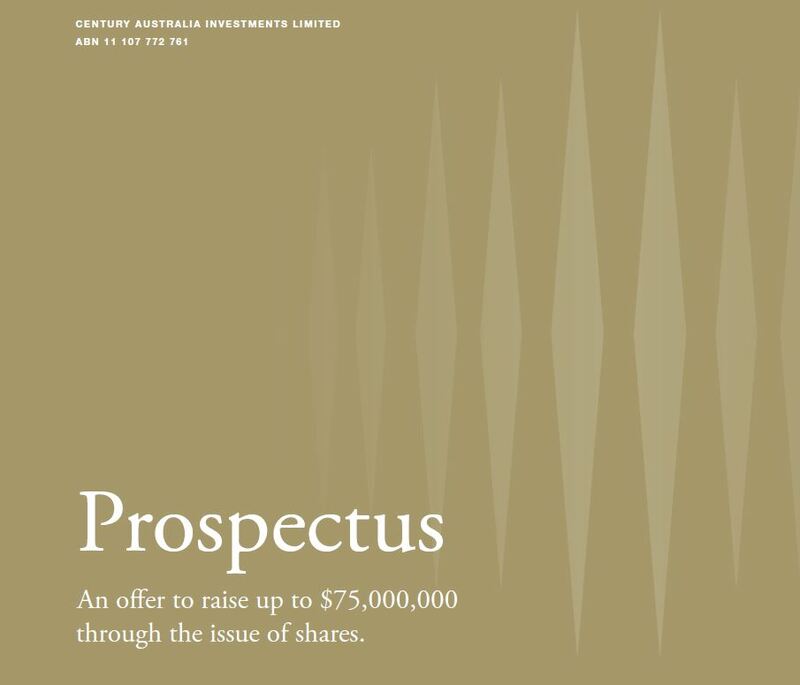 The Century Australia Investments Limited prospectus is now live. Century aims to provide investors with exposure to large, undervalued growth companies using Wilson Asset Management’s proven investment process. The Company is seeking to raise up to $75 million under the Offer through the issue of up to 85 million Shares. The Offer is open to new investors as well as existing Shareholders. Taylor Collison has been appointed Joint Lead Manager.